Carrot extract has a formative effect in stimulating skin cell growth aimed to rejuvenate wrinkled, aged and dehydrated skin. It contains Beta-carotene, an anti-oxidant, which improves skin complexion by removing toxic build up, while protecting and repairing sun damaged skin. 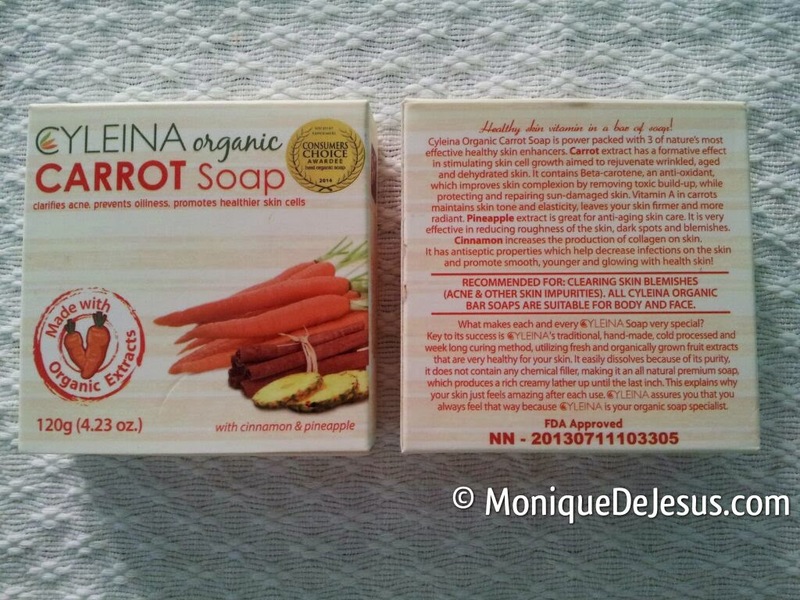 Vitamin A in carrots maintains skin tone and elasticity, leaves your skin firmer and more radiant. Pineapple extract is great for anti-aging skin care. It is very effective in reducing roughness of the skin, dark spots and blemishes. Cinnamon increases the production of collagen om skin. It has antiseptic properties which help decrease infections on the skin and promote smooth, younger and glowing skin. This soap is recommended for clearing skin blemishes (acne and other impurities). To my surprise, I noticed my back becoming smoother only after weeks of using the soap. I can say I found my body soap for keeps! The only downside is it easily dissolves because of its purity. Great great news is it does not contain any chemical filler (hence the easy dissolving), making it an all natural premium soap, which produces a rich creamy lather up until the last inch. My solution: I cut the soap in quarters to save. One bar lasts about a month or longer. 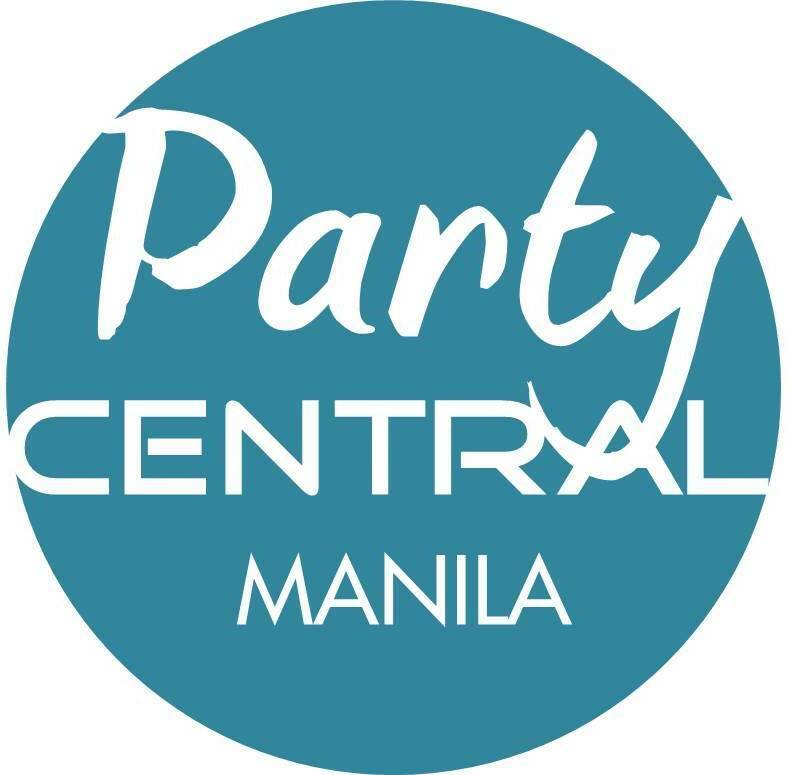 And it only costs Php 65 a bar! It's super affordable. 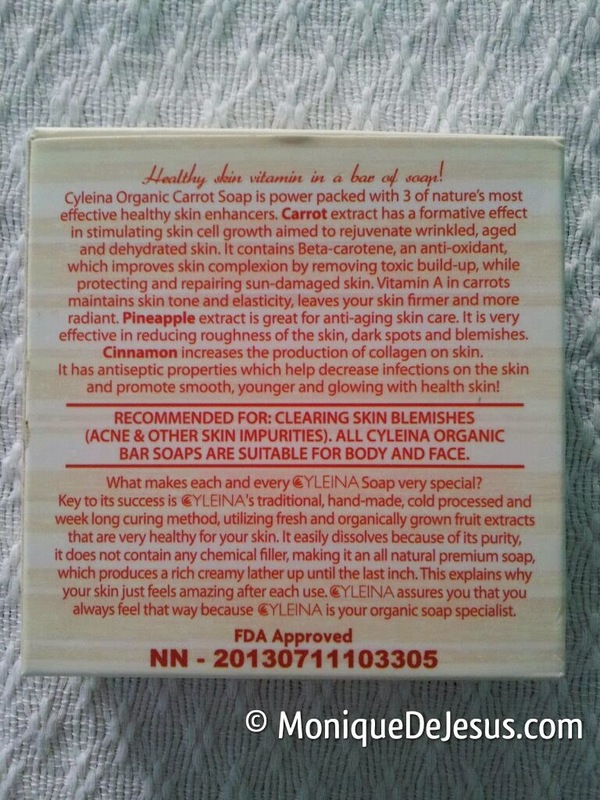 All Cyleina Organic soaps are suitable for face and body. 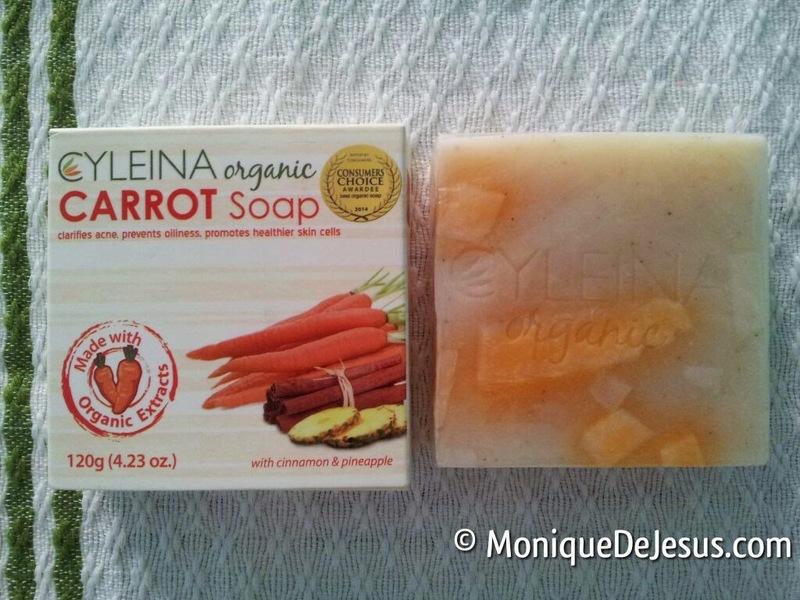 Cyleina soaps use the traditional hand-made, cold processed, and week long curing method, utilizing fresh and organically grown fruit extracts that are very healthy for the skin. Other variants are Honey and Oats (another favoritem for sensitive skin), Kojic (my ultimate skin whitener after beach season), Shea Butter (good for dry months), Rice Bran (anti-aging), Strawberry (with real strawberry seeds, for sunburns), Black Pearl Premium and Tomato (instant pore refiner & good for oily skin). I will review them too soon. You can order these soaps from www.Facebook.com/LoveOrganicsPH.